» Blog » Portland Moss Removal And Roof Treatment. Do You Need It? Moss Removal and Roof Treatment on Your Portland Home. Do You Need Both? So you’re thinking about getting that pesky moss removed from your roof? Thats great! 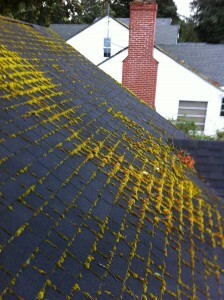 Roof moss removal especially on your portland home is a necessity in the health of our roof. However, removing the moss is only the first step to a good clean roof. Our Moss Removal Service does just that. Removes that unsightly moss from your roof. But more is needed. Why? Because Moss is a plant and like all plants it has a root. Much like weeding, just removing the part of the plant you can see doesn’t prevent the moss from growing back. You have to kill the root of it to keep that moss from growing back again. Thus the Roof Treatment. The Roof Treatment we use not only kills the root of the moss, but also helps prevent moss from growing back on your roof between six months to a year! Because of where we live, moss seeds and grows rapidly so being able to keep it off your roof after a Moss Removal service is going to give you the most bang for your buck and that is why we include a Roof Treatment in every Moss Removal job we do. Why Choose PDX Clean King For Your Moss Removal and Roof Treatment Needs? 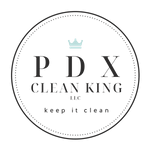 At PDX Clean King, we are dedicated to excellent work and customer service. You’ll never just be another check to us. We put a lot of effort behind making sure you’er happy with the work done and how you’re treated. We are a local licensed, bonded and insured company with ready to lend our expertise to getting your home looking like new! Call us today and get your FREE Moss Removal Estimate!